Plain and simple. 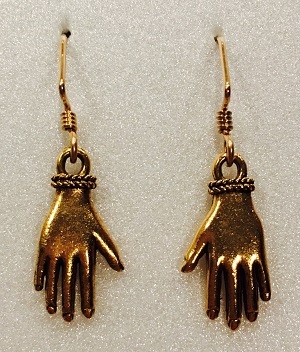 3/4" gold tone pewter lifelike hands. Gold filled wire.